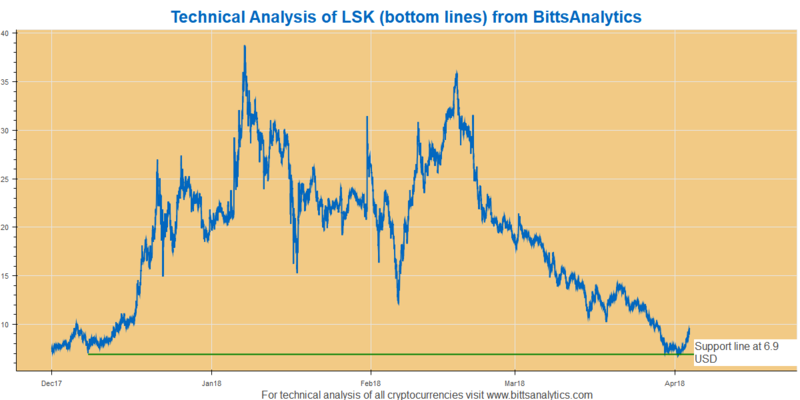 As you can see in the following picture Lisk had a bottom pattern already formed through dips in December and End of March. And what happened recently is that it had indeed bounced on that bottom support line of 6.9 USD to deliver a return of 40%. 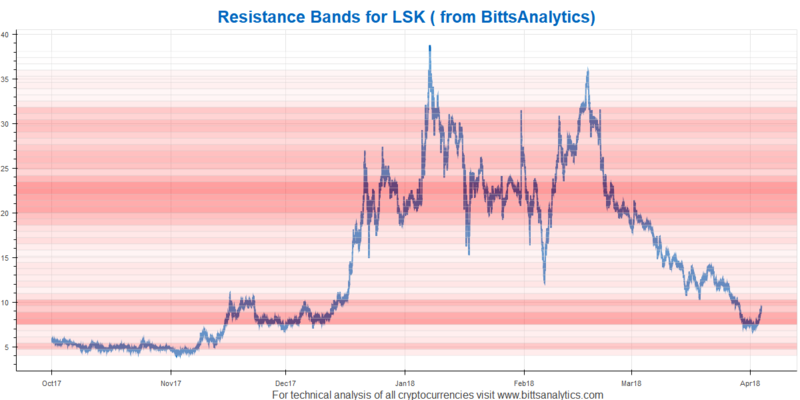 Note that our BittsBands also indicated a strong resistance in the area around 7 USD indicating a higher probability of the price bouncing on this level. You can also see that it has already bounced on this level several times in December. And that has indeed happened confirming the value of our BittsBands framework yet again.